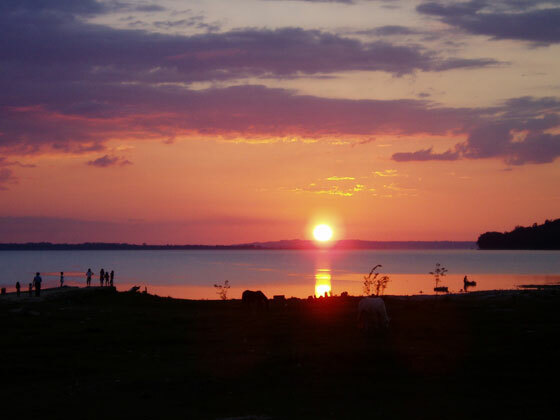 El Remate is a small woodcarving village of approximately 370 families, located on the east end of Lake Petén Itzá, on the main road halfway between Tikal and Flores. 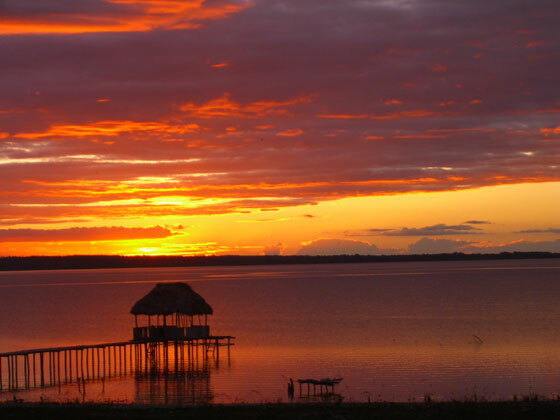 A good base for your stay in the Petén area, El Remate is the closest accommodation to Tikal National Park. 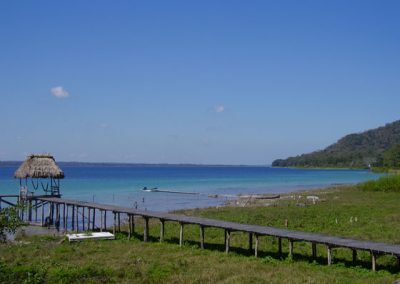 Many visitors consider it a pleasant option to the often crowded and noisy area of Flores or the expensive hotels in Tikal. Some of the tours and activities in or nearby El Remate include: Tours to Tikal and other Maya ruins, Canopy Tours (ziplines), the Sky Way swinging bridges and jungle hiking trails, boat tours, swimming, horseback riding, birding, and Biotopo Cerro Cahui reserve. El Remate is close to a number of other Maya ruins in addition to Tikal. Yaxha, the second most visited site after Tikal, gained notoriety from being the filming location for the CBS reality show ‘Survivor: Guatemala’. It is a wonderful and secluded site located next to lake Yaxha. Sunset tours can be arranged, see tours. El Remate is rapidly growing into a tourism based economy. The local wood carving families are practicing less slash-and-burn agriculture, preserving the precious and in some cases scarce hardwoods. The variety of woodcarvings is indescribable and there are a few woodcarving shops in the village. Some of the largest and most intricate carvings can be found at La Casa De Don David. 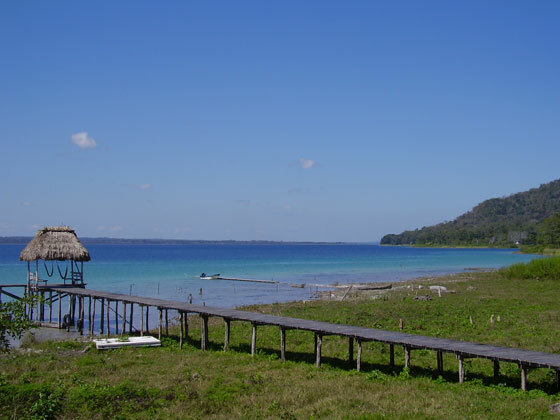 Swimming is safe in the clear waters of Lake Petén Itzá, however you will not find nice, sandy beaches. When entering the water from the shore, you will find white mud and rocks. Swimming is best done from one of the many public docks in the village. One of the best swimming areas is in front of the Biotopo Cerro Cahui. Since all transportation in route to Tikal passes through El Remate, it is easy to travel to and from Flores and Tikal by taxi or one of the many minibuses which are in constant transit between both locations. Tourist buses in route to Flores from Chetumal, Mexico and Belize also arrive and depart from El Remate twice daily (please see travel information). There is a small tourist information center located near the woodcarving shops in the village which is usually open during daylight hours, but service can be variable. Information and maps of Guatemala, Tikal, Antigua, Belize, etc. can be found in our restaurant and hotel reception desk. Our helpful and friendly staff can either make arrangements for tours, transportation, etc. from the hotel or try to put you in touch with someone who can. Located in El Remate on the lakeshore road, just 2km from La Casa De Don David, is the Biotopo Cerro Cahui nature reserve. Established for scientific studies by CECON (Centro de Estudios Conservacionistas) of the Universidad de San Carlos, Guatemala, the tropical rainforest reserve covers 650 hectares. Visitors often see howler and spider monkeys, many varieties of birds, exotic insects and butterflies. 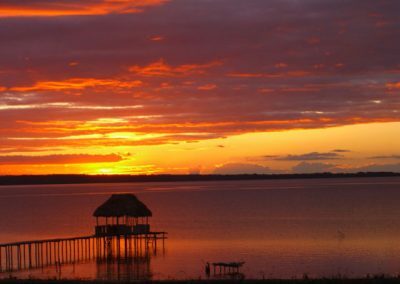 There are two lookout points or ‘miradores’ with spectacular views of Lake Petén Itzá and the neighboring lakes of Macanché and Sal Petén. The park has two well-maintained trails: the shorter is Sac o’ ox, with a length of 4.4km (2.75 miles) and estimated walking time of 2hrs. The longer and better trail is Los Escobos, with a length of 6km (3.75miles) and walking time 3hrs. Los Escobos trail passes through pristine jungle, and we recommend taking your time for a better chance of observing wildlife. Park hours are 6:30 am to 4:00 pm everyday. Entrance fee is $5 (correct at the time of writing). Professional birdwatching guides can be arranged for $40-60, just ask at our reception desk. The dock across from the park entrance is a popular swimming and picnic area. Trying to keep the rainforest of northern Guatemala protected and sustainable has been a difficult process over the years. Tikal National Park and the Biotopo Cerro Cahui are among some of the few somewhat successful efforts, along with other parks and reserves in various parts of Guatemala. The increase in tourism is providing an alternative to the ever-present slash-and-burn agriculture, with more and more tours and services operated by local residents, along with wood carving efforts in El Remate. Cahui means ‘giant crocodile’ in Maya language. When looking across the lake, the mountain (cerro) gives the appearance of a crocodile swimming into the lake. Most of the Petén jungle is a birdwatcher’s paradise, especially Tikal. A good birding area near El Remate is along the road to Cerro Cahui or within the park. The evening or early morning boat tour to the nearby small rivers of Ixlu and Ixpop are also great for birding.